Look at the history of how Apple has acted when actively promoting games on its platforms and a fairly strong theme emerges; at every turn it's been trying to find alternatives to F2P. Whether it's pushing consumers towards premium titles through App Store promotions or making the notable decision to continue listing a separate top ten of paid games prominently alongside the F2P rankings, Apple has always been keen to show consumers that, at the very least, there are alternatives to the dominant model. When Nintendo finally decided to create mobile games, it teamed up with Apple to promote Mario's smartphone debut; it's noteworthy that the business model for that game, for which Apple created an entirely new pre-order system on the App Store, was effectively the long-departed "Lite demo and Premium unlock" model of the 2000s, disinterred and dusted down for the 2010s. That decision would have been primarily Nintendo's, of course, but Apple pushed this non-F2P title harder than almost any other game on its platforms has been pushed. Here's the thing: all of these efforts, along with plenty of other often perfectly noble efforts to cultivate alternative models to F2P in the smartphone space, have effectively failed -- not necessarily failing to find any success at all, but certainly not finding enough success to suggest a viable alternative. 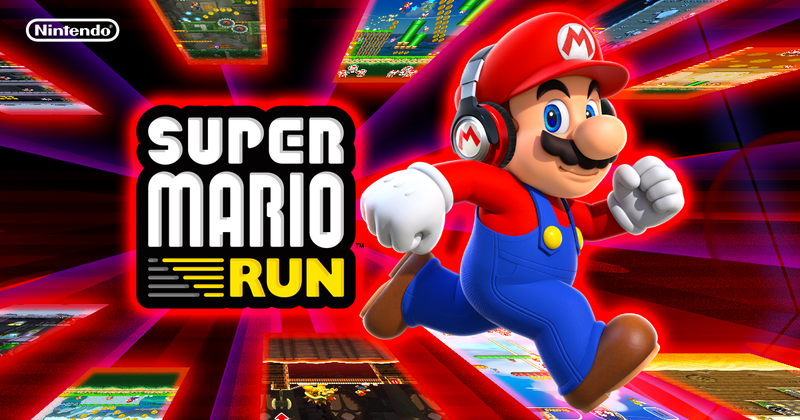 From indie creators who used platforms like Kickstarter effectively as a way to gain some launch velocity for premium titles on mobile (and were often tacitly supported by Apple with favourable curation on the App Store's pages) through to Nintendo's bold experiment with Super Mario Run, nobody has ever been able to come up with something that pulls consumers away from the F2P model. Indie creators who launched premium games speak in generally underwhelmed tones of their commercial performance. Nintendo has gone on to fully embrace high-quality F2P design for titles like Fire Emblem and Dragalia Lost. If the story of the past ten years of mobile gaming is the unstoppable rise of F2P, the subplot is the noble failure of every effort to do something different. "Arcade could be a huge draw for parents who don't want to ban gaming on their kids' devices altogether but do want a bit more of a walled garden for them"
Which leads us, of course, to Apple's new Arcade service -- the latest noble effort to create a different business model for games on mobile devices. Arcade's promise is that the games you'll be able to play with a subscription to the service will be complete, "premium" experiences -- no in-app purchases and no ads. It's lined up a significant set of developers and brands who'll be adding games to Arcade (this can't have been cheap); Apple's tacit support for the pursuit of alternatives to F2P is over, replaced with a powerfully backed effort on the part of the platform holder itself to create an entirely separate and distinct business model for games on iOS. My immediate response -- along, it seems, with most other commentators -- is that this is indeed a noble effort, and it's just as doomed to fail as those which came before it. Part of the problem is that people who decry F2P mobile games often fail to understand where F2P design ends and good mobile game design begins; it's an easy mistake to make, because these two things have evolved hand in hand. Systems designed to monetise games through IAP have become difficult to extricate from systems designed to create compelling game experiences on smartphone devices, not least because the optimal solutions in some cases have turned out to be broadly the same. One consequence of this is that people trying to develop "premium" games on mobile have often turned too much of an eye to console and PC titles, leading to their games being titles that would probably have been great fun on a PS4 but just don't fit on an iPhone. The incredibly fast core loop for mobile games -- a minute or two at the outside -- is a key part of this problem; it's something that feels "cheap" to many developers, I think, and they associate this "fast food" type gaming experience with F2P rather than recognising that it's got more to do with the usage scenarios for mobile titles. The thing is, most of the potential market for premium mobile titles already owns a console or PC, and if they want to play something with a longer, more absorbing core "unit" of gameplay, they'll play on those. There are markets where this is different (China is a good example, and successful Japanese games also have a slightly longer core loop in keeping with the broadly more core audience for mobile titles in Japan), but by and large there's a Catch-22 here -- it's hard to convince people to pay a premium price for a game with a very short core loop (because we've been taught to see those games as "cheap"), but people aren't terribly keen on longer core loops on mobile platforms. If nothing else, it's outright uncomfortable -- I'm still enjoying the Nintendo / CyGames collaboration Dragalia Lost quite a bit, but it doesn't take very long for holding a mobile phone in a playing position to get painful. Ten to fifteen minutes is the longest I'd possibly play that for, albeit sometimes doing those short sessions a few times a day -- while a big console title I can happily spend hours and hours in. It's tough to sell something on the basis of having more absorbing, in-depth experiences that you'll want to play for hours if the device itself isn't something you'd like to spend hours playing on -- a wrinkle which has escaped many would-be upenders of the mobile gaming space in the past, though hopefully one which many developers on Apple's Arcade will understand completely. I suspect, however, that in considering the audience for "premium" games in these terms we may all be missing the point of Apple's initiative. Sure, it's entirely likely that a company with Apple's sensibilities simply wants iOS to be a platform for what it sees as more premium, high-quality gaming experiences as much out of aesthetics and preference as anything else -- the core of the firm's success is in its focus on creating desirable, premium devices and it may well feel that F2P's dominance cheapens its platform a little, that it would prefer to "go upstream" and attract more critically acclaimed indie darlings and potential award-winners to iOS. That would be a very Apple-like instinct, after all. 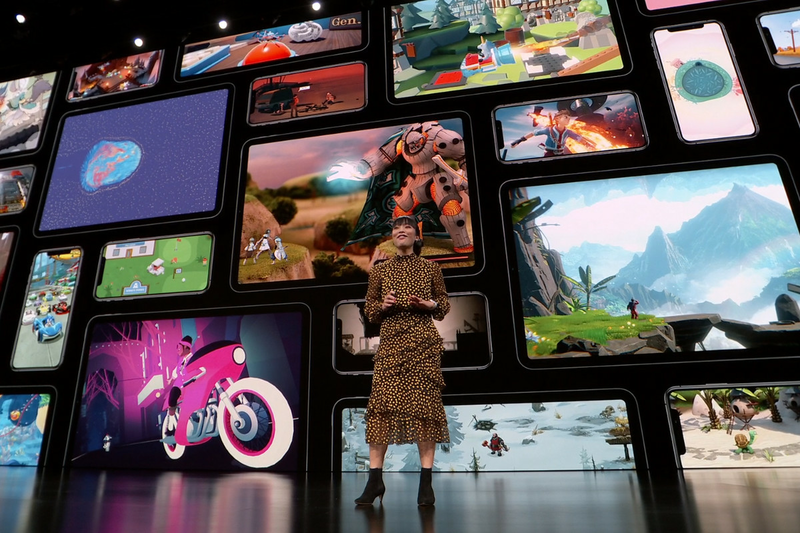 What's far more likely, however, is that we have this backwards -- that Apple's concern is less wishing to go upstream and attract core gamers to iOS, and more focused on entirely the other end of the market, namely children and families. Among the brands announced as working with Arcade were a few telling names like Lego and Cartoon Network, which have some adult appeal but are primarily child- or tween-oriented brands. The possibilities raised by having titles from those brands on the Arcade service start to suggest something that makes a lot more commercial sense than another quixotic tilt at the windmill of F2P; a "gaming channel" on iOS to which parents can subscribe for a fixed monthly fee, with no credit card surprises from in-game transactions, and with a guarantee that the content is curated by Apple, a firm rapidly rising to Nintendo levels of nigh-on prudishness in their family-friendly image. The presence of big-name brands could cut through the question of how this paid-for service competes with the otherwise unassailable price tag of "free"; if there is exclusive content on Apple's service from a brand that young players love, it'll drive a lot of subscriptions. More importantly, though, the value offering to the bill payers is potentially significant; with the right pitch I can see this being a HUGE draw for parents who don't want to ban gaming on their kids' devices altogether but do want a bit more of a walled garden for them. If this is the core of the service, then the more core gamers who come in to play indie and other premium titles without IAP are just gravy; the actual success of Arcade would be based on its ability to create demand among children and tweens while presenting a seriously attractive option to parents. Ten years after the company fired the starting gun on the F2P race, Apple may finally have a formula that will create a viable alternative to it -- at least for some of its consumers. I'm not sure that "noble failure" is an accurate description of, to list a few,, The Room, Monument Valley, Her Story, Minecraft, etc? Yep and not only that but the upside of a F2P title is much higher. Monument Valley might take in $14 million in 2 years. But a Clash of Clans took in $3.2 billion in revenue in its first 3 years according to the internets. I have been reading articles about Apple Arcade for some days now and every single one is very one dimensional - they say is off timiing wise, it's aiming for the wrong audience, the model is outdated. Sometimes I wish that the press and other experts could tackle this whole, very complicated thing called Apple Arcade from different angles. Like Apple's marketing power, the massive potential it has including free bundles every month for freemium games or just the fact that Apple knows exactly the ARPDAU of the average game on their platform and set a price for the service accordingly. Those are just a few, but there are so many variables in this whole process that's nearly impossible to know where will it land.